Hello everyone! This round of Collabor88 features unicorns! I am wearing the Pinkie Lacey Blouse, and Celestia Flounce Skirt, both from The Secret Store. I wandered the grid this weekend, and stumbled upon Bella’s Garden. 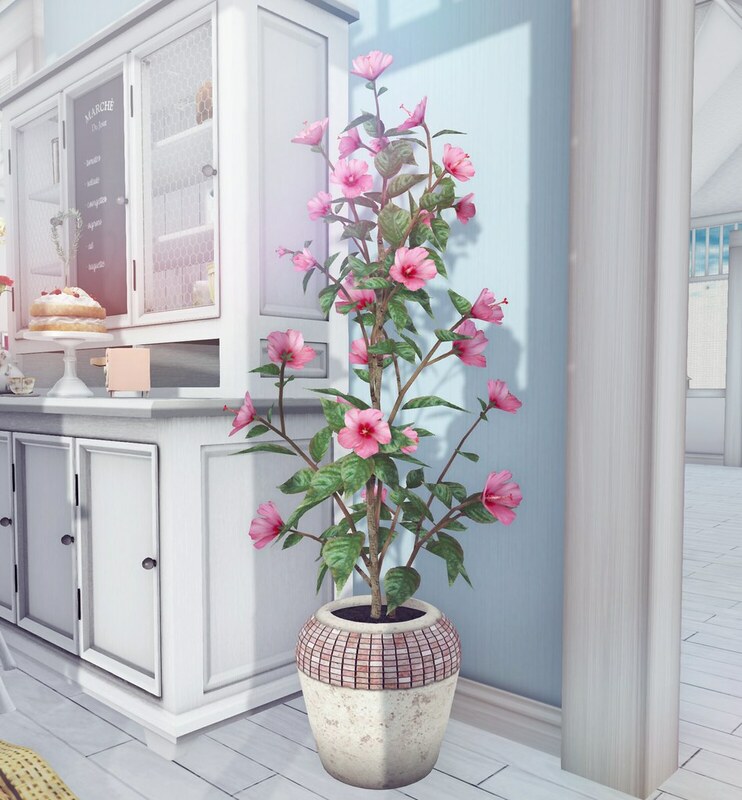 I bought myself this gorgeous potted Hibiscus plant, and found a permanently spot for it in my virtual kitchen. LOVE IT! thanks for sharing bella’s garden, gogo. ♥ i grabbed one of their potted flowers as well, really lovely and low land impact too! Aww you look too cute! I picked up the Hibiscus, also! Amazing detail, great work!